Jenny Holzer, Blue Cross, 2008. David Roberts Collection, London. Green Purple Cross, 2008. 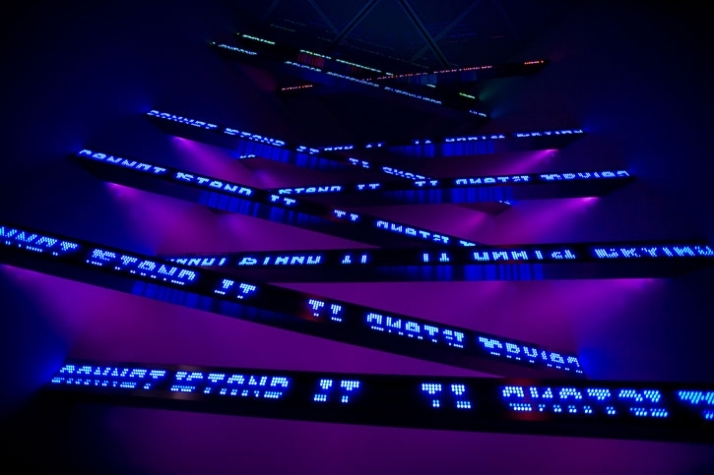 Museum of Contemporary Art (MCA), Chicago, © 2008 Jenny Holzer, member Artists Rights Society (ARS), NY. Photo: Lili Holzer-Glier. 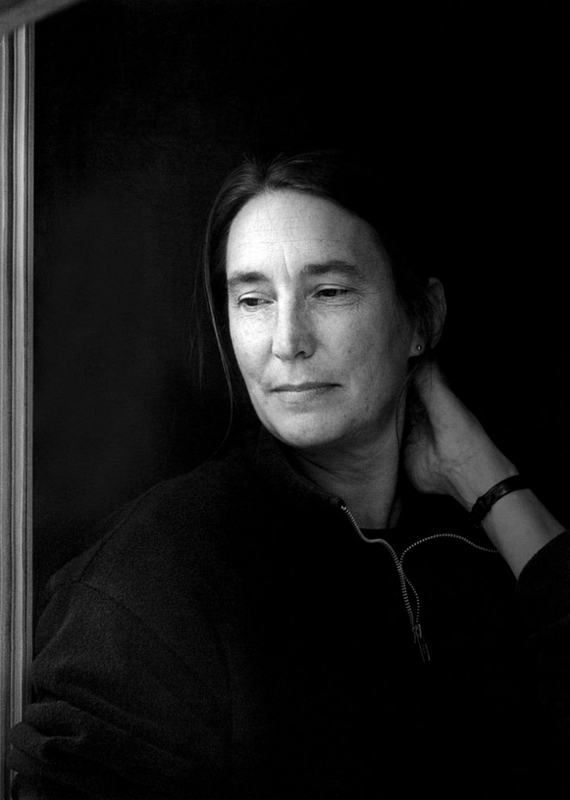 Jenny Holzer, one of the leading artists of her generation whose career spans thirty years, is the subject of a major exhibition organized by the Museum of Contemporary Art (MCA), Chicago, in partnership with the Fondation Beyeler in Basel, Switzerland. Holzer is considered one of the most significant and pioneering contemporary artists, both for her approach to language and for her use of nontraditional media and public settings for her work. The frequent presence of her work in non-art as well as art world contexts reveals Holzer’s commitment to connecting with the public about issues of social and cultural importance. Her work pairs the use of text and the centrality of installation to examine emotional and societal realities. Seamlessly blending form and content, her work is characterized by formal beauty and conceptual rigor. 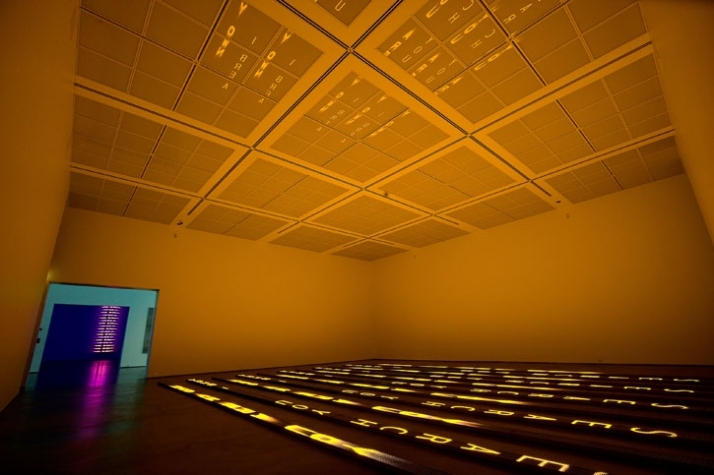 The exhibition, Jenny Holzer: PROTECT PROTECT is on view at the MCA from October 25, 2008, to February 1, 2009. Holzer has consistently and inventively challenged people’s assumptions about the world we live in through a multiplicity of contradictory voices, opinions, and attitudes that form the basis of our society. Alternating between fact and fiction, the public and the private, the universal and the particular, Holzer’s work offers an incisive portrait of our times. 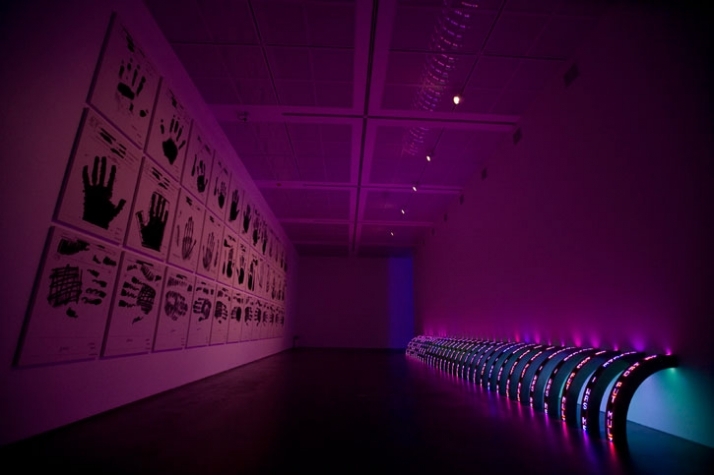 The exhibition at the MCA is Holzer’s largest and most comprehensive in the United States in over 15 years. Beginning with its fall 2008 presentation at the MCA in Chicago, the exhibition travels to other museums in the United States and Europe during 2009-10 where its components are reconfigured by the artist at each venue as the basis for a site-specific installation. The exhibition is curated by Elizabeth Smith, James W. Alsdorf Chief Curator and Deputy Director for Programs at the MCA. 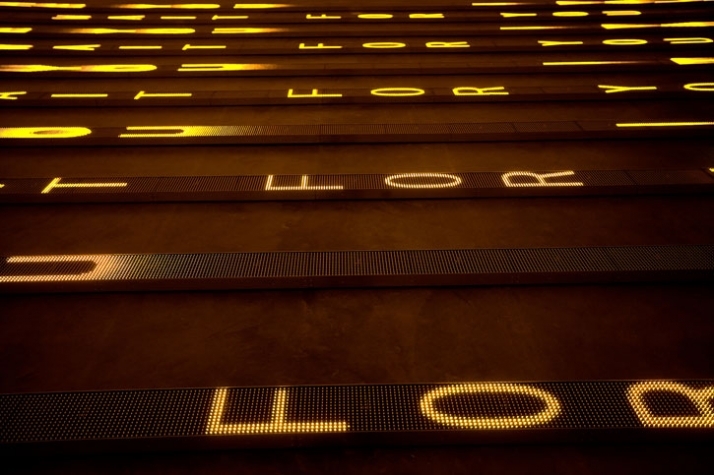 Jenny Holzer, MONUMENT, 2008. Text: Truisms, 1977-79 and Inflammatory Essays, 1979-82. © 2008 Jenny Holzer, member Artists Rights Society (ARS), NY. Photo: Vassilij Gureev. Jenny Holzer: PROTECT PROTECT unites political bravura with visual sensitivity and beauty, centering on Holzer’s work since the 1990s. The exhibition is not a conventional survey; it offers several distinct but related bodies of work in a range of media in which Holzer has worked in recent years. These include major new works using LED technology, sculpture, light projection pieces, and groupings of new paintings of government documents made available through the Freedom of Information Act. Holzer chooses existing texts from sources ranging from these official documents to poetry and literature to her own earlier series. The works in the exhibition foreground the way in which Holzer continues to innovate artistically while elaborating on themes that have been the touchstones of her practice: pain, love, peace, and survival. The LED sign is Holzer’s signature medium—a vehicle she has used in differing configurations and contexts since the early 1980s, from simpler, horizontal wall-mounted versions to more recent sculptural and architectural examples. 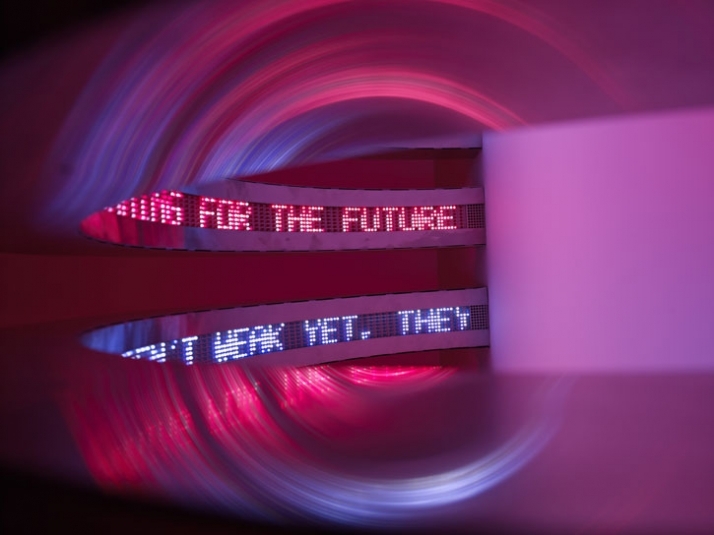 In this exhibition, Holzer presents several major new LED works that are shown for the first time in the U.S. For Chicago (2007-08), to be configured at the MCA as a major floor installation, is programmed with a “retrospective” of her writings from the late 1970s through the 1990s from such series as Truisms, Living, Survival, Under a Rock, Mother and Child, War, and Lustmord. 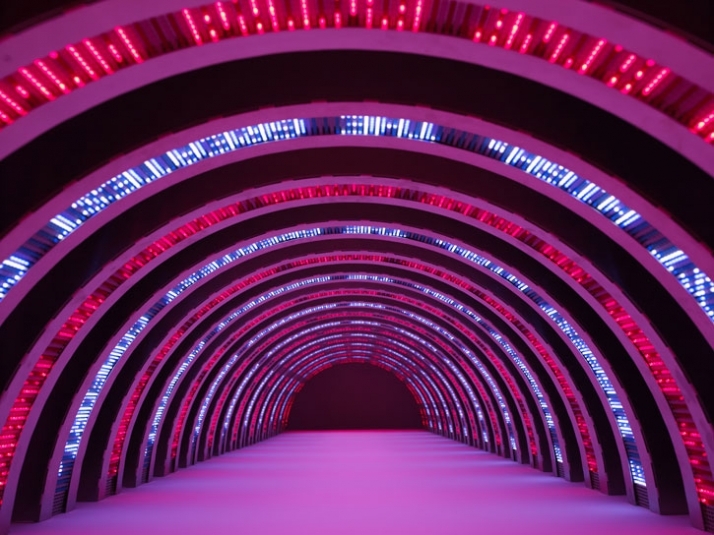 In addition, the exhibition includes several other architecturally configured LED works in which bold color, sculptural form, and passages of text interplay. 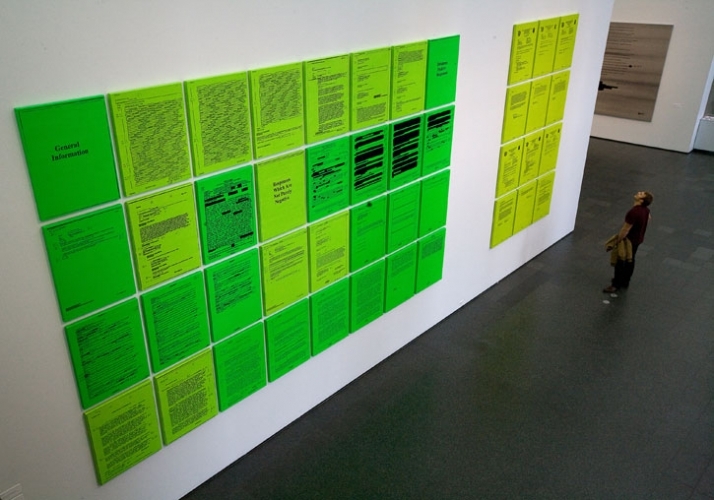 Each is programmed with a set series of texts: from declassified documents in Thorax (2007), Purple Corner (2008), and Red Yellow Looming (2004) to Holzer’s writings in Monument (2008), Blue Cross (2008), and Green Purple Cross (2008). These works can offer an array of institutional statements as well as individual narratives, stimulating reflection on issues of violence, hope, and vulnerability. The works include Red Yellow Looming (2004), an assemblage of horizontal signs that pitch forward above the heads of viewers, and Monument (2008), a vertical sculpture of curving bands of moving text that is nearly 20 feet tall. Jenny Holzer, Right Hand (Palm Rolled), 2007. Text: U.S. government document. © 2008 Jenny Holzer, member Artists Rights Society (ARS), NY. 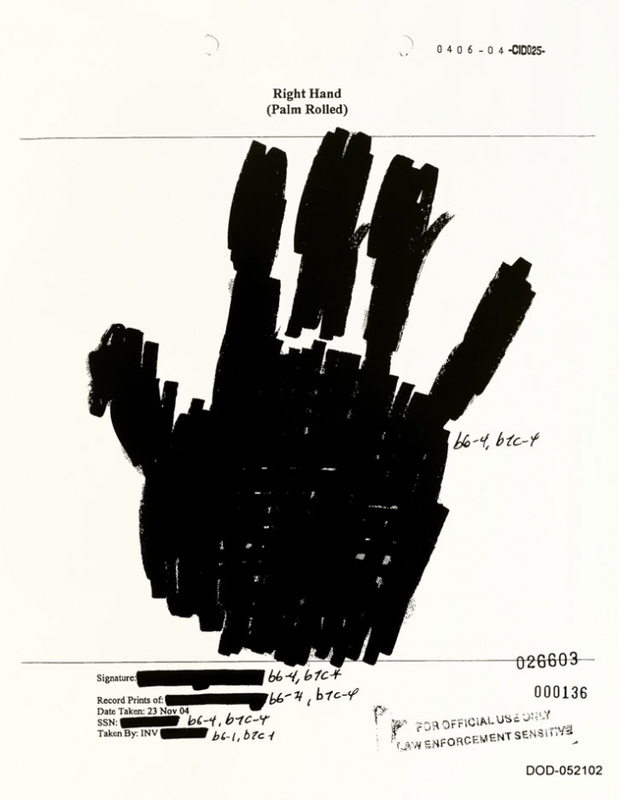 In 2006, Holzer first exhibited a new body of silk-screened paintings incorporating declassified and often redacted texts. Two groups of paintings figure prominently in this exhibition, in particular, a series based on a U.S. Central Command PowerPoint presentation to the White House outlining strategies for the war in Iraq. The paintings reproduce maps of the Middle East with texts and graphics narrating a range of scenarios and possible outcomes of events. Another significant grouping of paintings offers images of handprints of American soldiers accused of crimes in Iraq, including detainee abuse and assault. The handprints themselves have been redacted to efface individuating marks. Hanging the hands of the charged next to those found to be wrongly accused and those whose culpability has been lost, the artist represents the fog of war. Jenny Holzer, Lustmord, 2007. Text: Lustmord, 1993-95. © 2008 Jenny Holzer, member Artists Rights Society (ARS), NY. Photo: Christopher Burke. The earliest works to be included in the exhibition are the tables from Holzer’s Lustmord series of 1993-95, triggered by events during the war in the former Yugoslavia. 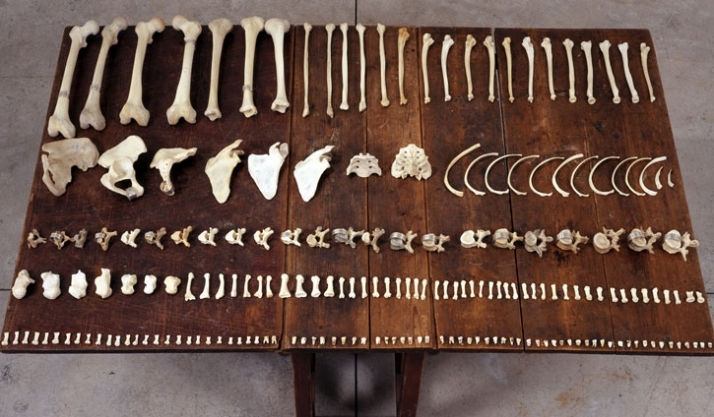 Here, human bones are laid out on large wooden tables with some bones wrapped with silver bands showing text. These signal a shift in Holzer’s work toward a more transparent engagement with the physical and psychological aspects of violence and trauma. These powerful, poignant objects and writing offer a dramatic analogue to the thematic content found elsewhere in the exhibition, and a contrasting visual and physical experience to the presence of light and movement in many of the other pieces. Conveying an experience to viewers that is both personal and collective, these projections profoundly transform public space so that art and architecture are commingled, and where feeling and reading allow for considerations of place and the present. 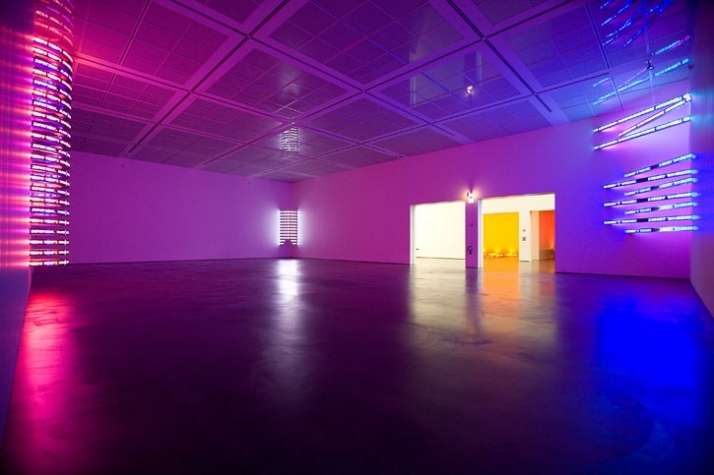 As the exhibition tours to other cities in the US and Europe, Holzer plans to adapt the components to each museum's audience and architecture. She also may augment the exhibition at each museum in consultation with the host curators. Whitney Museum of American Art, New York (March 12 - May 31, 2009) and Fondation Beyeler, Basel (November 1, 2009 - January 24, 2010). Other US and European venues to be confirmed. Jenny Holzer PROTECT PROTECT is accompanied by an illustrated exhibition catalogue with essays by authors including Elizabeth Smith; Joan Simon, curator-at-large at the Whitney Museum of American Art; and an interview with Jenny Holzer conducted by Benjamin H.D. Buchloh. The catalogue is co-published with Fondation Beyeler and Hatje Cantz and retails for $45.